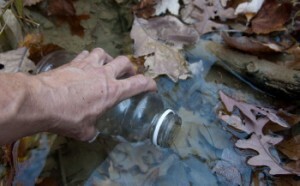 The 48 mile Knobstone Trail is Indiana’s longest natural surface foot path. 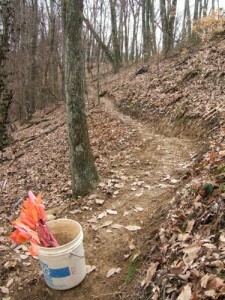 It is a popular backcountry trail that runs along high ridges which offer great views across the wooded hills of southern Indiana, and on clear days, even glimpses of Louisville and the Ohio River. 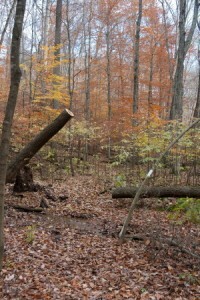 The Indiana DNR manages and maintains the trail, with occasional assistance from a variety of volunteer groups, including the HHC. 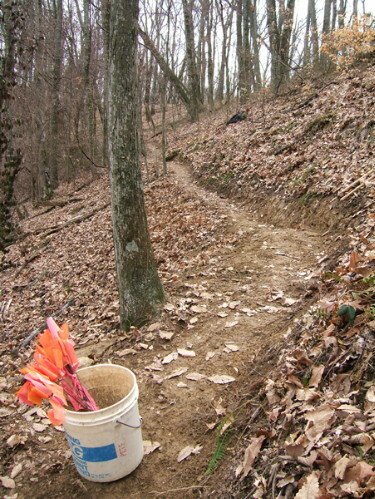 The path is named after the unique Knobstone escarpment (or slope) of land over which it runs, which is apparent when viewing a southern Indiana topography map. It appears as a steep “drop-off” between high lands in the west and low lands in the east. This “drop-off” area, which is the Knobstone escarpment, is a broad line which runs generally north-northwest, and is distinctive for its high, flat, narrow ridges and steep sides. 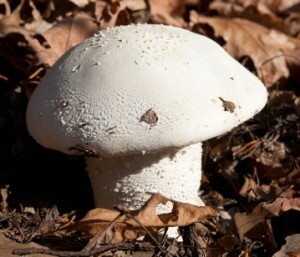 This creates the “knobby” hills for which the escarpment and its trail are named. While the hills are comparatively low in elevation, the ruggedness of the land makes the Knobstone Trail one of Indian’s best natural training grounds to prepare for trips in mountainous areas. The path is very well-blazed, and every mile is marked with a brown numbered sign, which allows for easy reference, navigation, and check of progress. 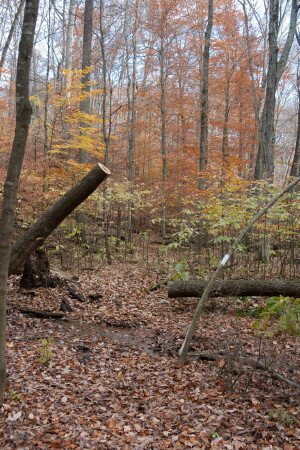 Much of the Knobstone Trail runs through Clark and Jackson State Forests, and it is managed by the Indiana DNR. Its southern terminus is at Deam Lake State Recreation area, about 20 miles northwest of Louisville. A general practice among trail users is that the northern terminus often depends on one’s preference. Many use the access at Spurgeon Hollow Lake, which completes a 43.5 mile linear path to Deam Lake. 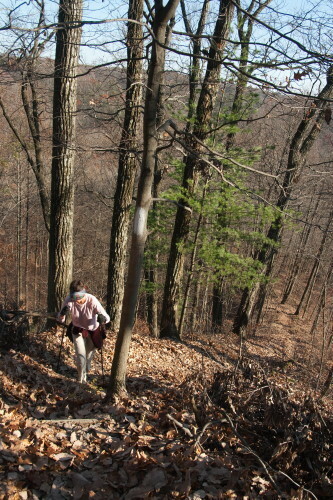 Others prefer access from Delaney Park, which is just north of Spurgeon Hollow. There are several paths within Delaney Park which can be used to connect to Spurgeon Hollow, and the route selected will impact your total trip length. Streams along the Knobstone are unpredictably dry. Do not rely on them! The DNR has published an excellent topographical map of the trail and its surrounding roads, which provides essential hiking information such as water, access, parking, camping, and regulations. This map can be purchased from the DNR or from the HHC Store on this site.